Use an air popper to pop the popcorn kernels. Transfer to a large bowl and set aside. 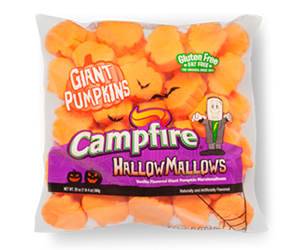 In a large microwave safe bowl, place Campfire® HallowMallows, butter, and pumpkin pie spice. Microwave on high for 1-2 minutes or until marshmallows are puffed and melty. Watch closely to make sure they do not overflow the bowl. Stir marshmallow mixture together until smooth. Add pretzels, pumpkin seeds, and salt to the popcorn bowl. 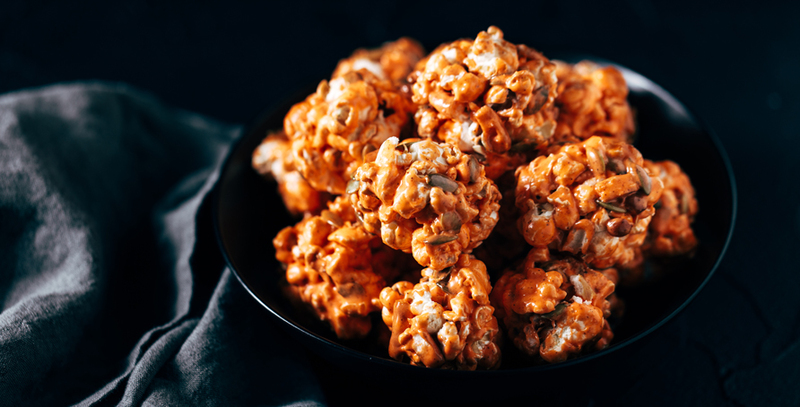 Pour melted marshmallow mixture over popcorn and stir well to combine all ingredients. This will be a sticky step. Use extra butter to grease clean hands. Pull a small amount of popcorn mixture out of the bowl and roll it into a ball. Place on parchment lined baking sheet. Repeat with remaining popcorn, greasing hands with butter as necessary. Allow popcorn balls to sit until firm. Store in air tight container.